WANT TO BECOME AN EAST ENDER? At East End Fitness, we want to accommodate all our prospective members! We have plenty of membership options and rates, so you can choose which option best works for you. So what are you waiting for? Click below or give us a call at (631) 400-9669 to set up a meeting! Starting May 1st, take advantage of our summer time special! For $120 you can get a 3 month membership with classes and gym access all included! 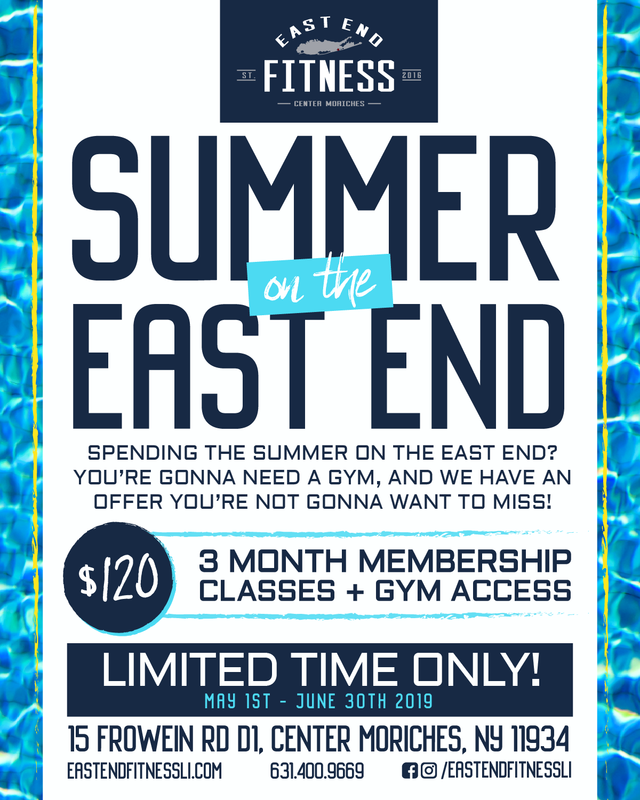 This deal is only available until June 30th - it's time to get that summer workout on, on the East End!